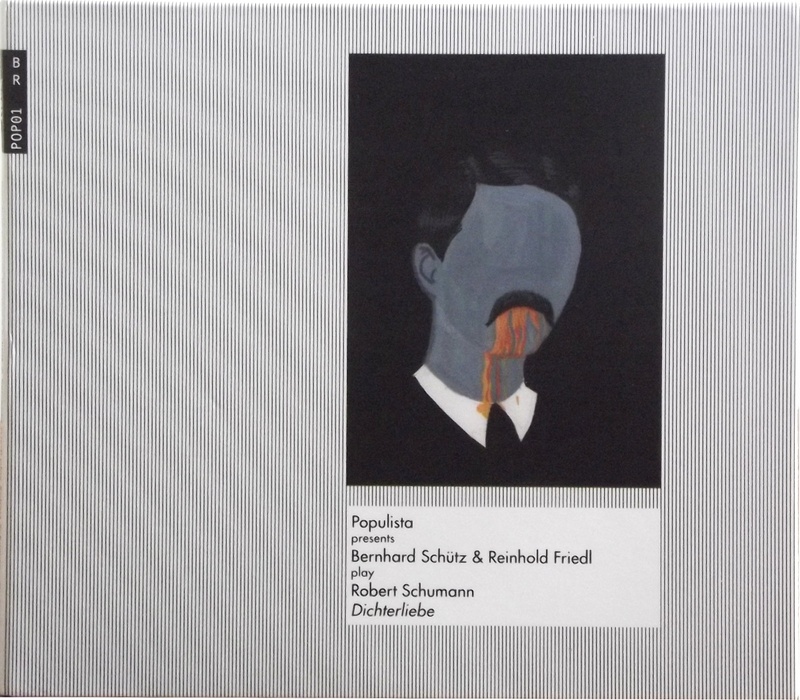 From Poland in October we got these three items in the Populista series, curated by Michał Libera. All these are released on the Polish Bôłt label, with help and support from Monotype Records. The first one is Dichterliebe (BR POP01), a song cycle by Robert Schumann, the famed 19th century German romantic, here interpreted by singer Bernhard Schütz and Reinhold Friedl (of Zeitkratzer fame) on the piano. Classical music from this period is completely out of my line, but even a man with a tin ear like mine can perceive that this is an extremely – erm – imaginative rendition of the material. Schütz’s vocalising is clearly taking great liberties in his efforts to inject the florid material (sung in German) with as much emotional range as possible, and a conservatoire vocal trainer would probably turn pale and have a heart attack if he heard this. 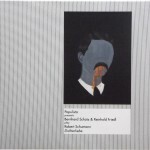 Plenty of attack and sustain in Friedl’s assured keyboard work, too, and the album is recorded in a decidedly non-quiet manner with plenty of room presence. So far, very impressive – classical music informed by an anarchic and playful spirit. Apparently the original lyric source for Dichterliebe is a long poem by Heinrich Heine, who was in fact very critical of the German romantic tradition and packed his lyrics with sarcasm and satire. This satirical tone seems to have been one of things that has informed Schütz’s singing here, as he bends the notes around the melody in a snide mocking way, occasionally punctuating the lyric with an angry growl. Next we have Ludwig Van (BR POP02), an interpretation of a work by Mauricio Kagel created by the pianist Frédéric Blondy with DJ Lenar on the turntables. This is a much more complex piece than the above, more overtly experimental, and layered with twists and turns. Kagel was a German-Argentinian composer of the 20th century who also occasionally made films, one of which was 1970’s Ludwig Van, apparently a rather critical piece of avant-garde cinema which asked pointed questions about the ways in which later audiences had appropriated and interpreted Beethoven’s music. It is the soundtrack to this film which has, in turn, been reclaimed and reinterpreted in the current post-modern mashup we have before us, along with several other bits of source material including Werner Herzog soundtracks, a lecture by Alfred Cortot, samples of string playing and percussion music taken from contemporary improvisation records, and multiple other unknown sounds. It’s an indescribable puzzle piece, a crazy-quilt knitted together from mosaic-fragments of music, and virtually every second of sound appears to have a subversive intent or hidden meaning, one quote leading to another quote. It’s also glorious to listen to. What we’re hearing is a studio recording made at the Warsaw National Art Gallery, produced the same day as its premiere. Michał Libera produced it and had a hand in the mixing and assembly stage. A fabulous 32 minutes of delirious complexity which bends 19th century classical music into 20th century atonal composition, by way of very contemporary techniques (editing, turntabling, mixing, layering). Highly recommended! Lastly there is another piece of modernism, Cycles Des Souvenirs (BR POP03), on which Rinus van Alebeek interprets the music of Luc Ferrari, the well-known French-Italian tape music composer. van Alebeek is a Dutch maverick conceptual artist whose opening conversational gambit is “I don’t make music”; he is in fact a writer who has long since abandoned traditional literature and its confines, and for some considerable time has been “writing” with the cassette recorder. It is an example of his unique sonic approach to documentary reportage, I suppose, that we hear on Cycles Des Souvenirs, a very compelling suite over an hour long which layers together several half-familiar domestic and everyday sounds along with half-whispered narrating voices, suspending everything in a very fluid and open-ended mix which quite clearly is not “composed” in any normal sense of the word. You do not sense an authorial hand directing the listener what to hear, and as such this record significantly revitalises the genres of field recording and tapework; it unfolds in a very natural way and you have no clear idea where it is going, or what to expect next. Who am I to say, but I feel intuitively that Luc Ferrari would certainly have approved, and this is very much in the spirit of his tape works. The cover paintings by Aleksandra Waliszewska are also quite splendid, surreal faceless portraits not unlike the work of Magritte. Schumann has orange dribble running down his chin, the messiness of romantic slop staining his shirt collar. The Kagel cover shows a man whose face has apparently been sliced into floppy pieces of cured meat. The Ferrari cover is a white-faced mystic whose third eye is either an open wound or the female genitalia. By way of a press release, we were sent a copy of the Populista Dictionary, a witty and rather sardonic text which provides further oblique clues about the project 1. For example, “the dying 20th century shall never form a museum of performances but rather a garden of reactions. Even if from time to time it may make it (the 20th century of course) look ridiculous”. All of these Populista releases are radical reinterpretations of historical music, making it more meaningful for modern audiences, and deserve your investigation. We look forward to hearing more in the series. Michał Libera, true to his name, has found a way to liberate great music from the mausoleums of high culture, setting it free through the power of imagination.